Revised edition of the previously published A Year in Chocolate. Dramatic, seductive, playful, infinite is its variety, otherworldly in its taste. It's chocolate, and three-time Cookbook of the Year award winner Alice Medrich unlocks its secrets so you can indulge your passion for it every day of the year. 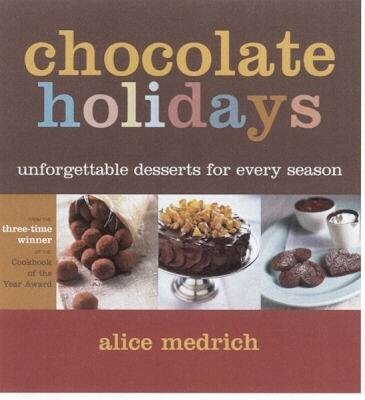 The beloved Alice Medrich, renowned for the impeccably written and tested recipes that have three times earned her Cookbook of the Year honors--most recently from the IACP for Bittersweet--offers fifty stellar, amazing-tasting chocolate desserts, each a little jewel of elegance and simplicity. 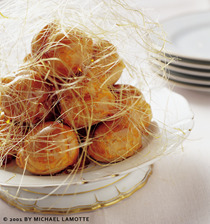 Chocolate Holidays unlocks the secrets of our favorite sweet. Turning her attention to the year's most special occasions--New Year's Day, Valentine's Day, birthdays and anniversaries, Hanukkah and Christmas, and every day in between--Medrich has created dozens of memorable desserts that will help to make the traditions and memories of your celebrations all the more unforgettable. Whether your holiday festivals are large or small, whether you tend to the homey or the glitzy, you'll find everything you need in this boutique collection. This revised edition of the previously published A Year in Chocolate includes an extended section on ingredients, equipment, and decorative touches and detailed notes on how to customize the recipes to use the chocolate of your choice.